Aquascape Alkalinity Booster with Phosphate Binder effectively increases overall KH and Alkalinity. 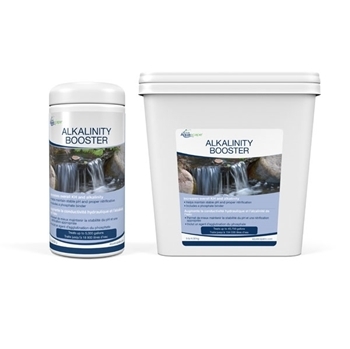 Aquascape Alkalinity Booster is lab tested, pharmaceutical grade and dissolves completely an easily in pond water, making application simple and easy. A phosphate binder is added to help reduce algae growth throughout the year, reducing required maintenance. The treatment is phosphate and ammonia free.